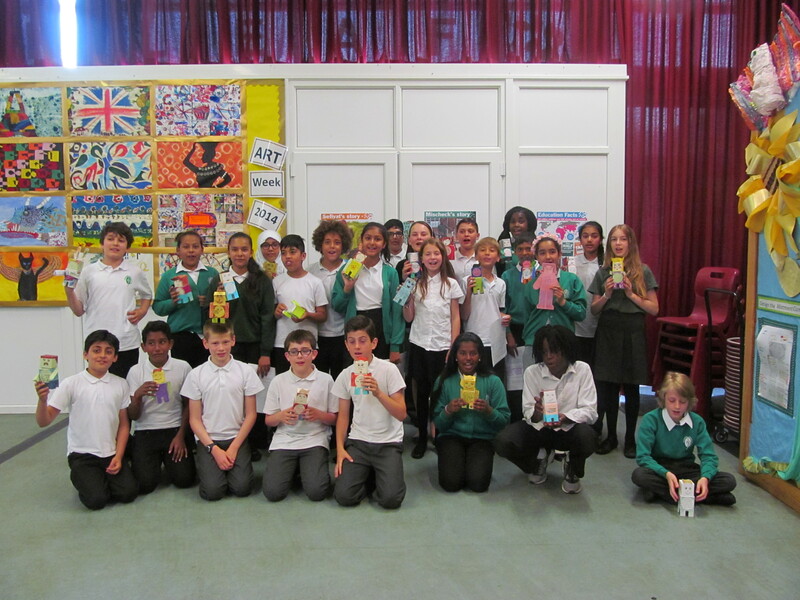 On Friday 26th June, Ms Trivers and Key Stage 2 presented the 540 miniature world leaders to Councillor Grace Williams, who attended our assembly on behalf of Stella Creasy. 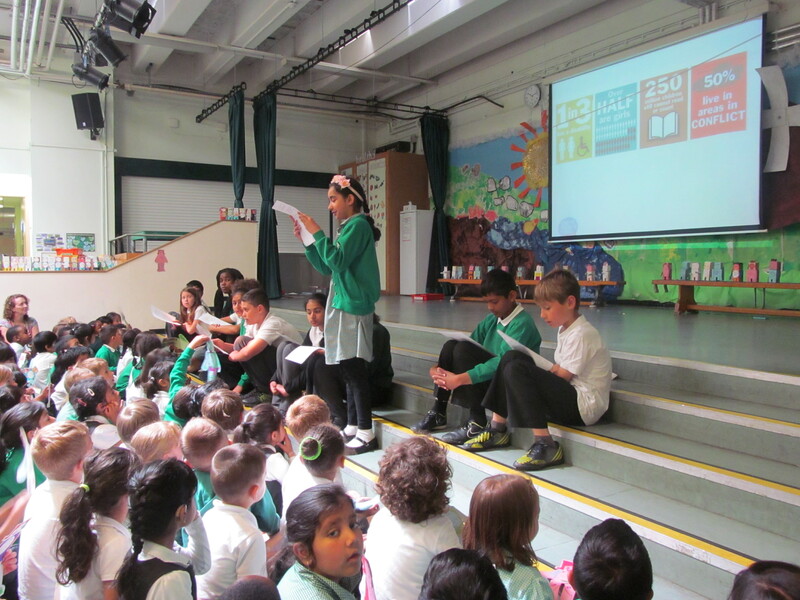 Cllr Grace Williams expressed her appreciation of the work being done at Greenleaf and promised to ensure David Cameron receives our messages so he can remind world leaders of their promise that all children should get the chance to go to school. 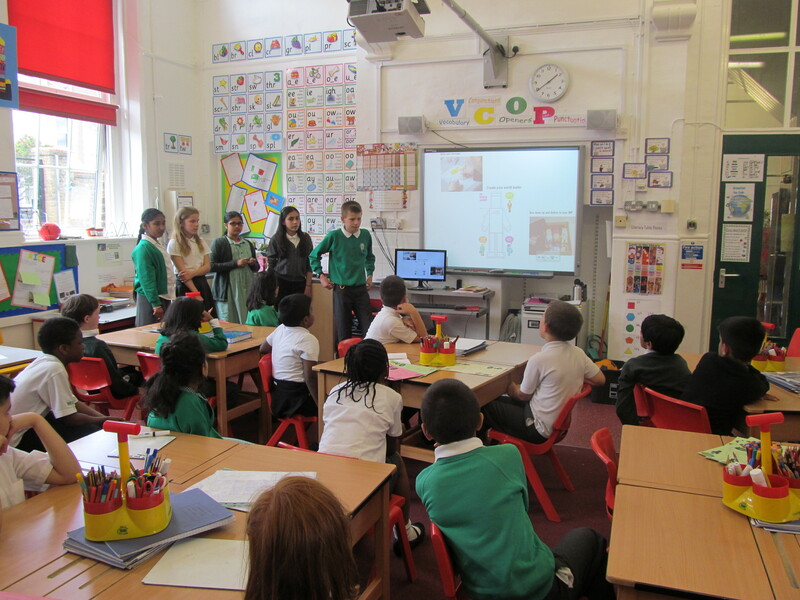 Fighting for justice… Year 5 and 6 children became the teachers this week. 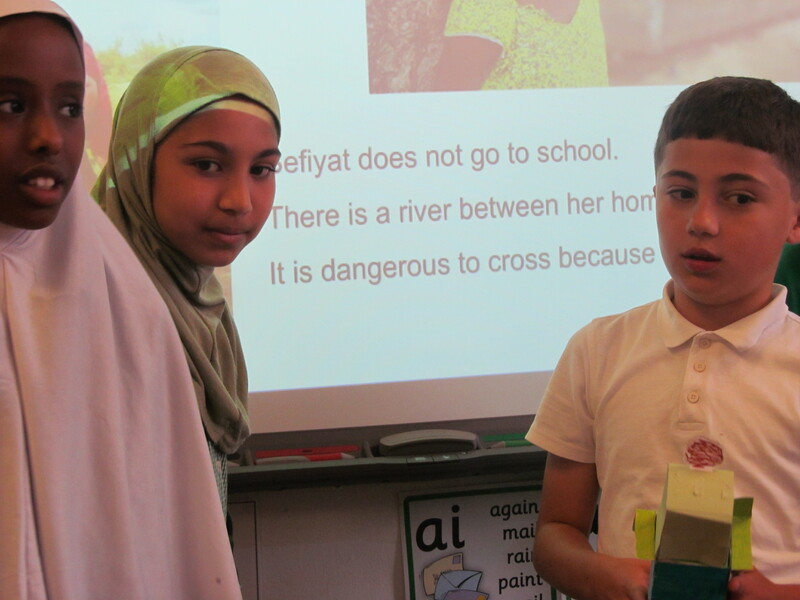 The children took part in lessons about the ‘Send My Friend to School’ campaign, which supports young people across the world to speak up about every child’s right to go to school. 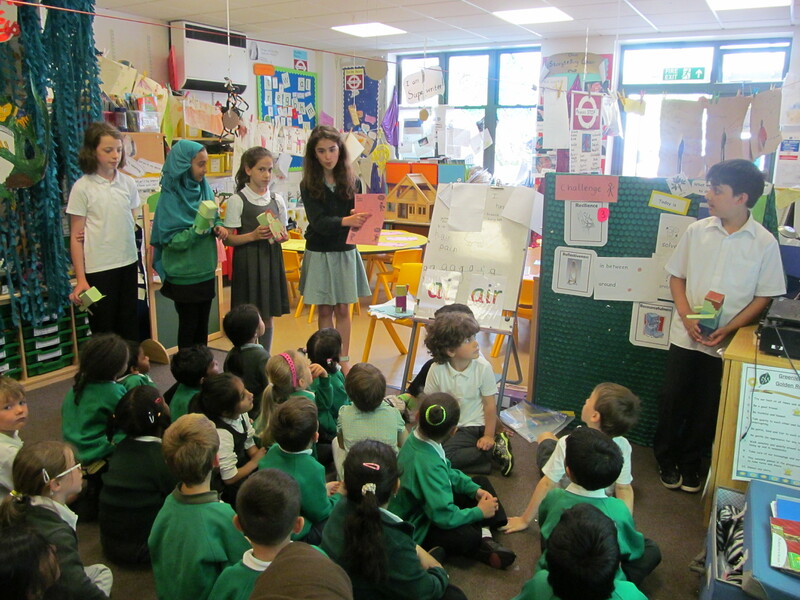 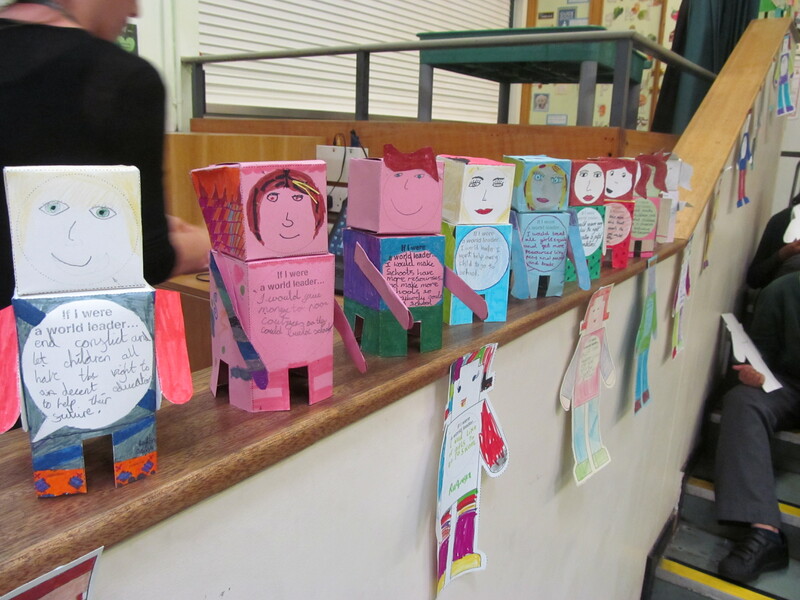 They then visited each class (from reception to Year 4) to teach them about children’s rights and to help every child make a ‘world leader’ figure on which they wrote their own message about why education is important. 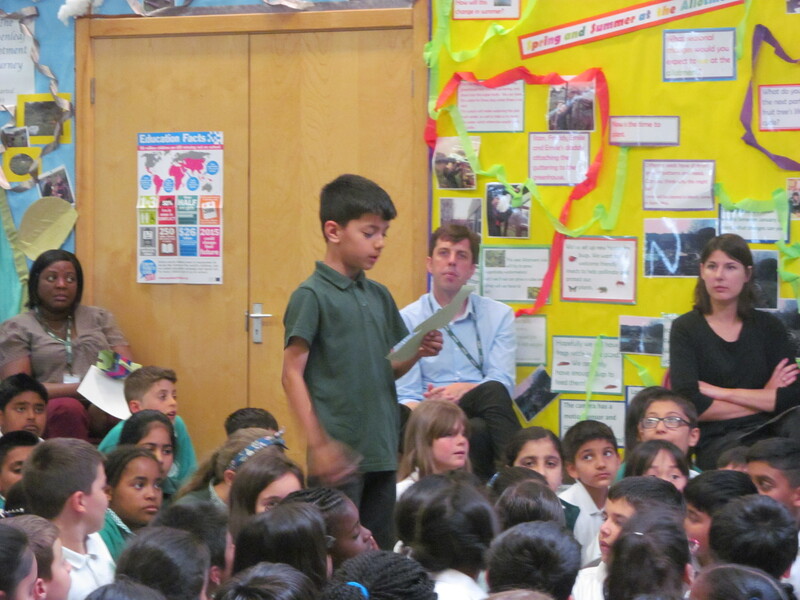 In the coming days we will be sending our 500 ‘world leaders’ to Stella Creasy, our local Member of Parliament. 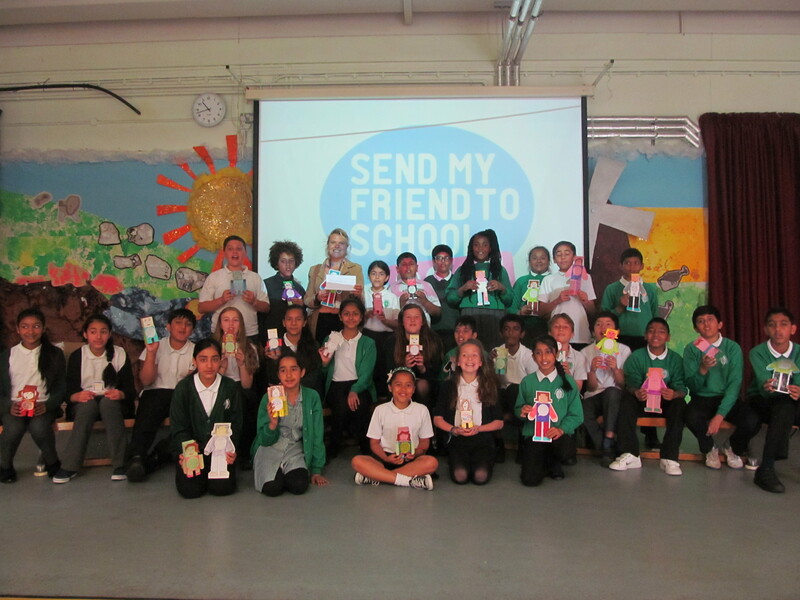 We will be asking Stella to take these friends to David Cameron, the prime minister, to ask him to remind world leaders of their promise that all children should get the chance to go to school. 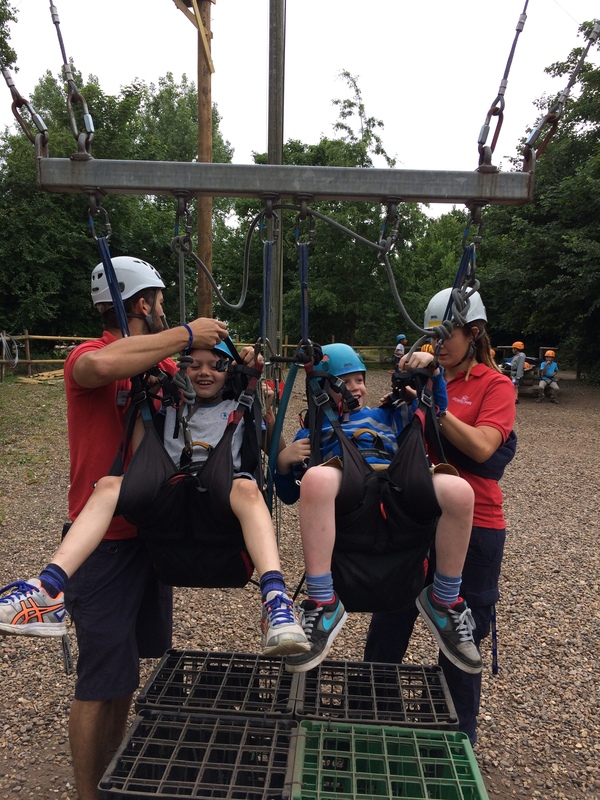 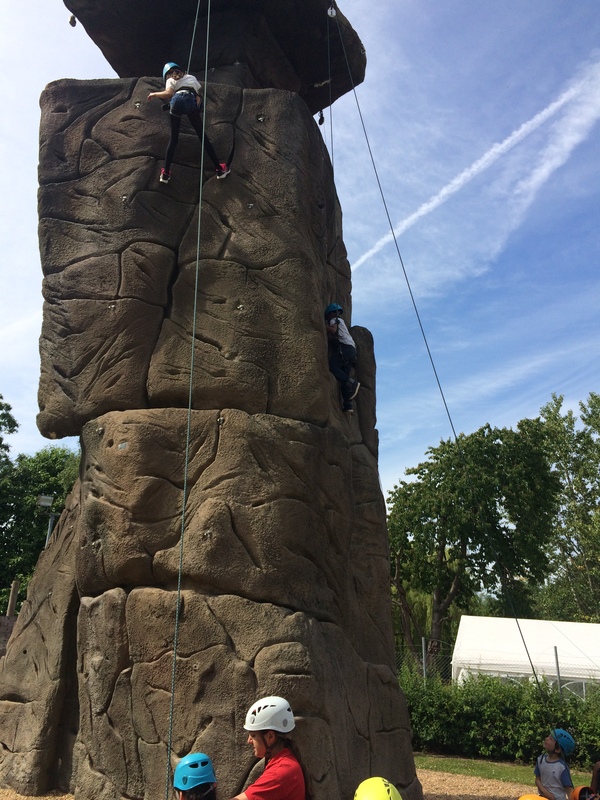 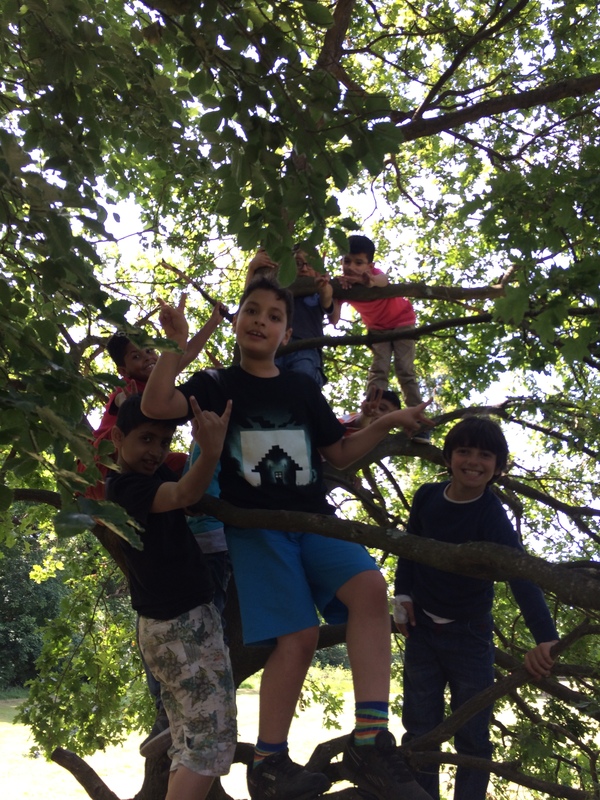 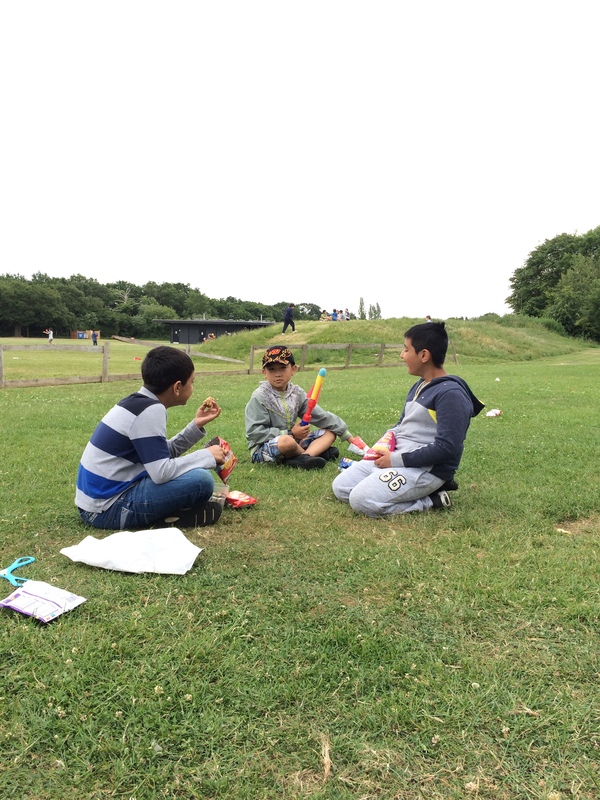 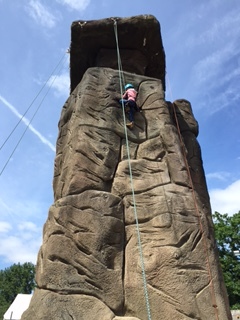 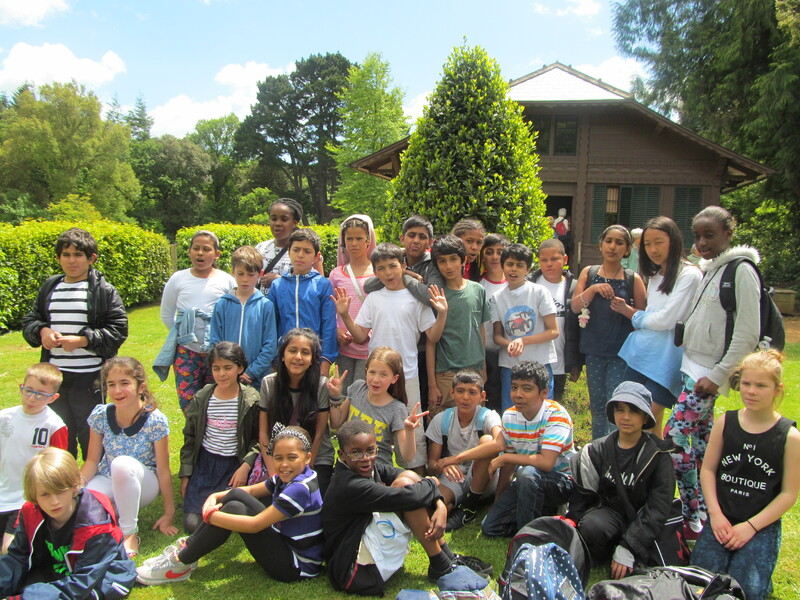 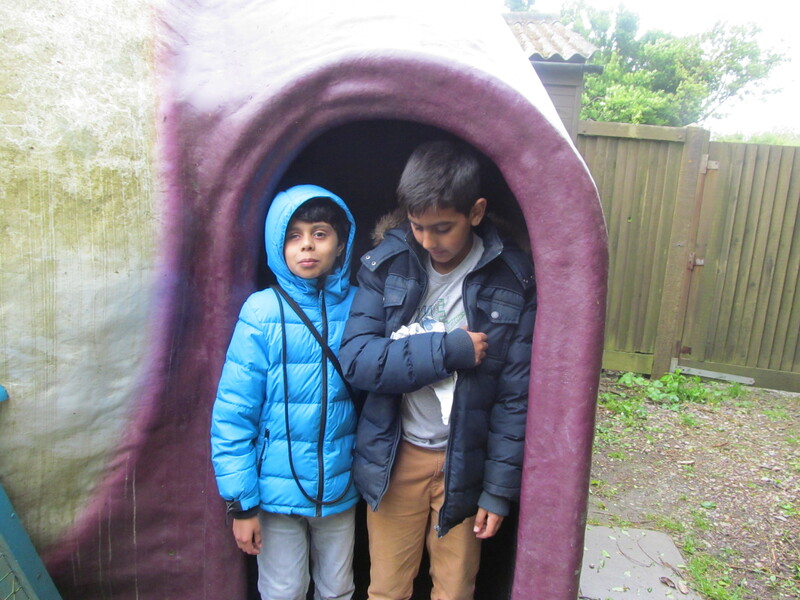 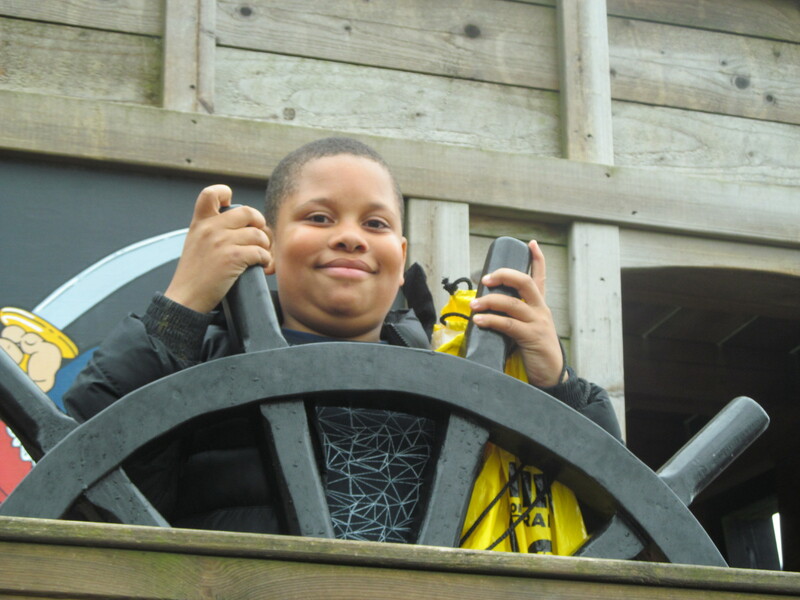 Year 3 returned safe and sound on Friday afternoon from two days of adventure and excitement at Gilwell Park in Chingford. 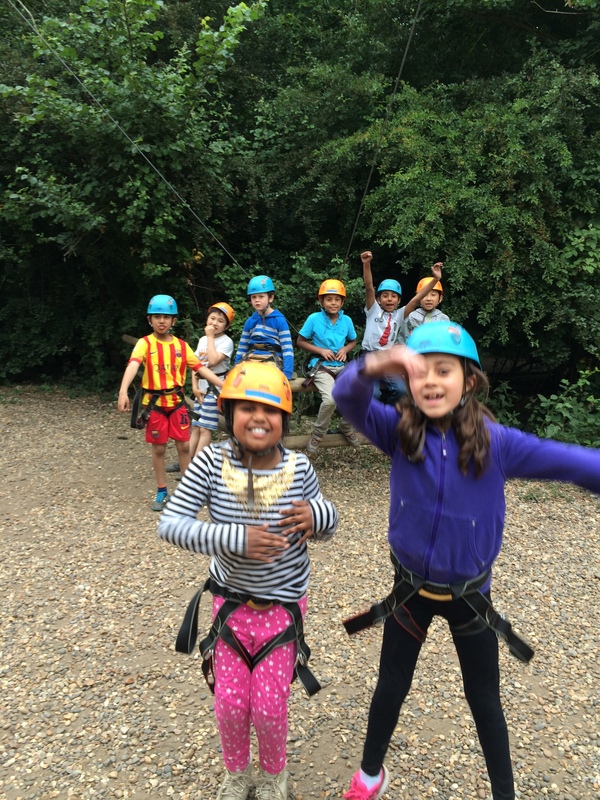 Thursday…. 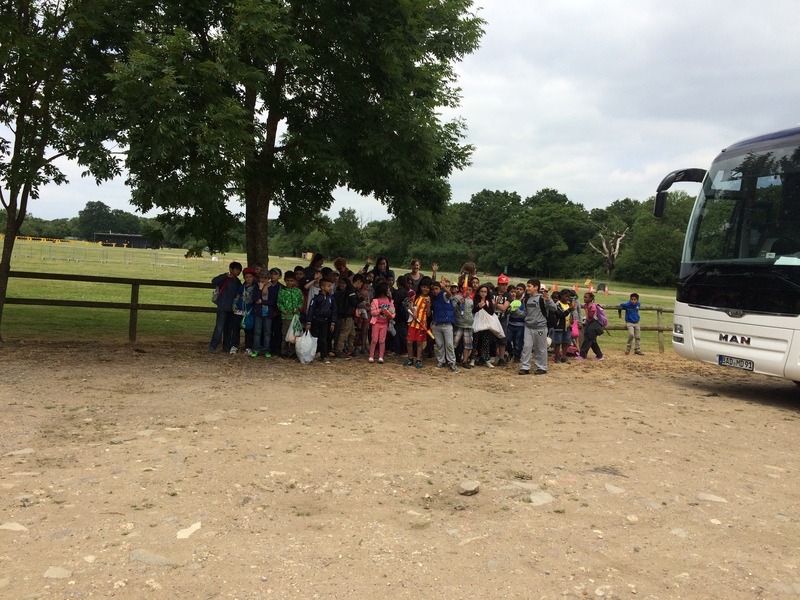 By 10.50 am we had unloaded the coach, found our lodge and managed to have a quick bite to eat before heading to the main square to meet our instructors and embark on the first of our four activities. 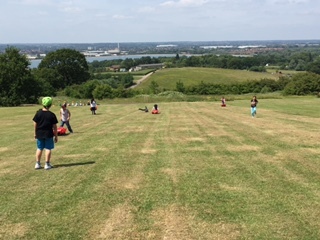 We met for lunch and played in the field. 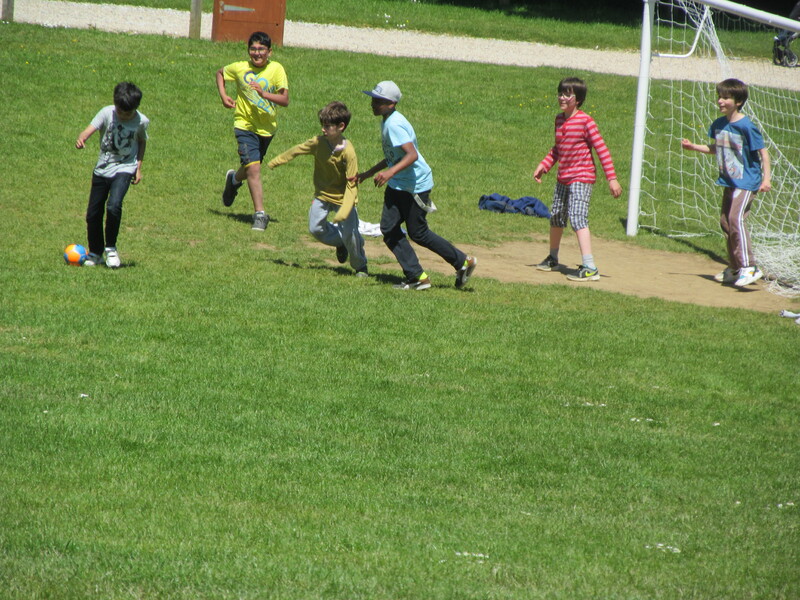 It was not long before the second activity beckoned. 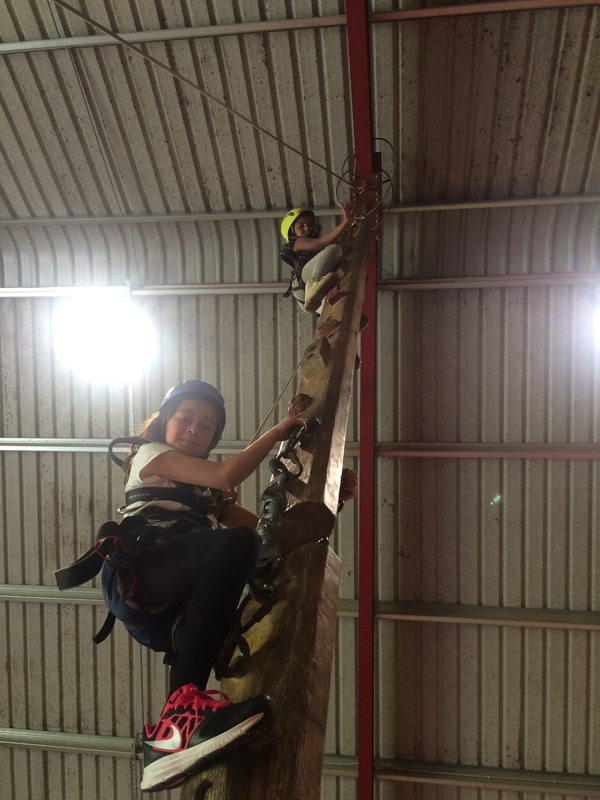 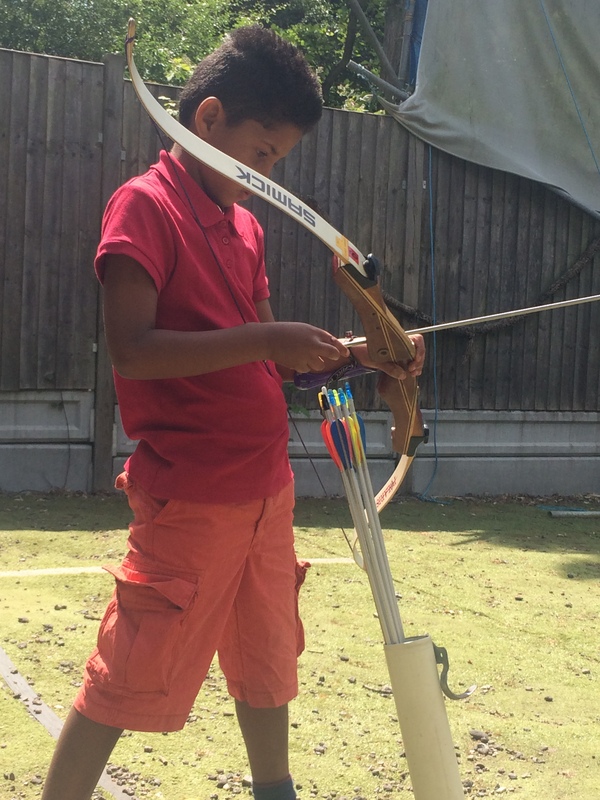 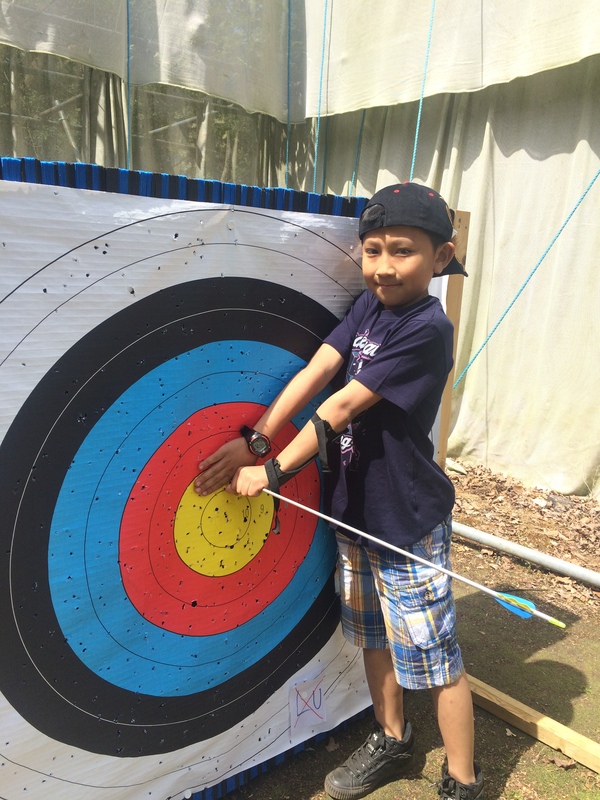 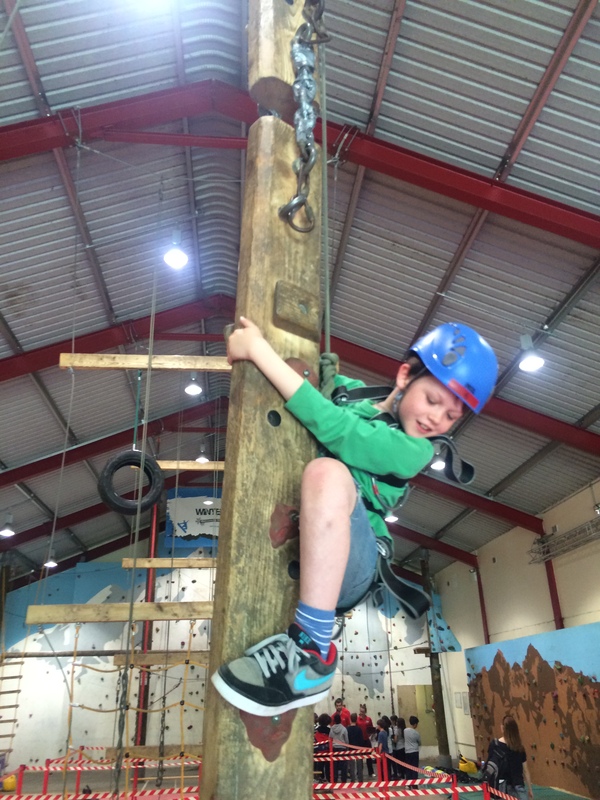 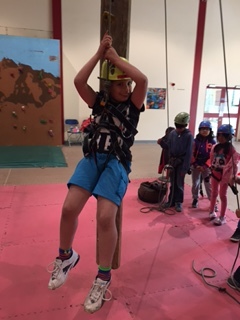 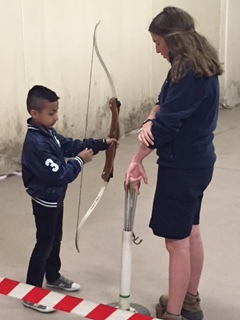 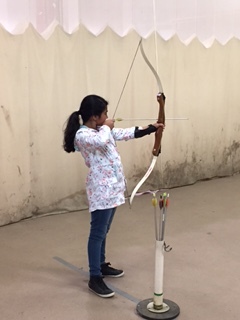 All four groups would have the opportunity to try their hand at archery, rock climbing and the wobbly pole! 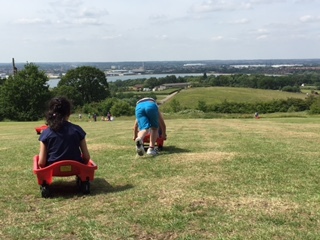 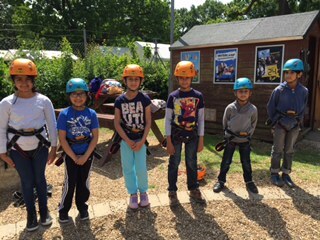 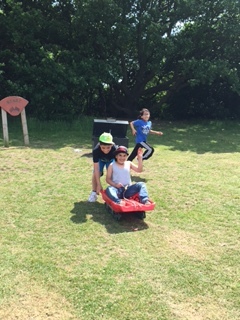 One lucky group had a chance try Grass Sledging, while four groups experienced the 3G swing. 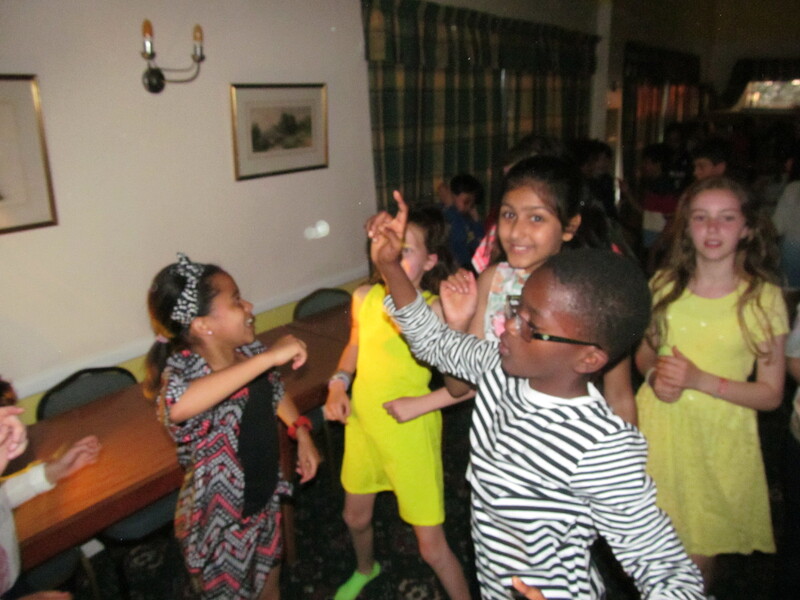 After all the hard work of the day, we returned to our lodge, settled into our rooms and readied ourselves for our evening meal in the restaurant. 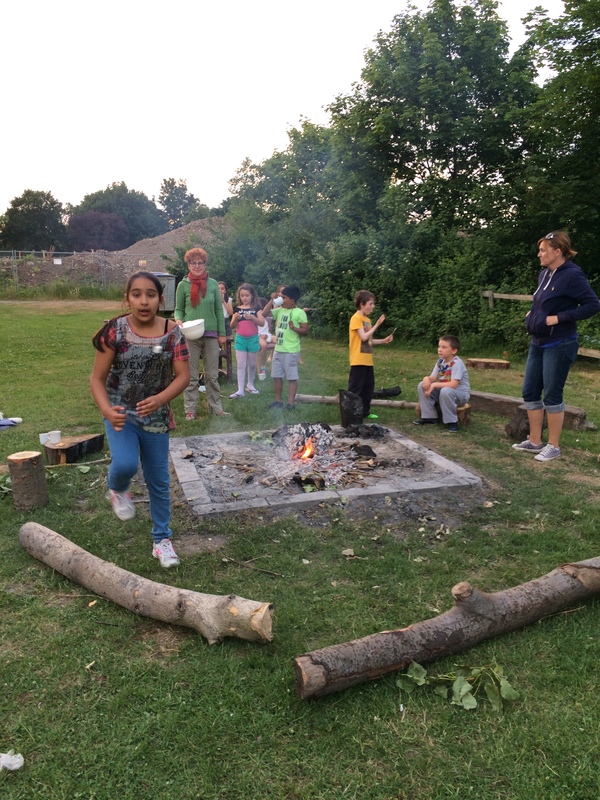 We returned to the lodge for free time, a bonfire with marshmallows, hot chocolate and a biscuit before bed. 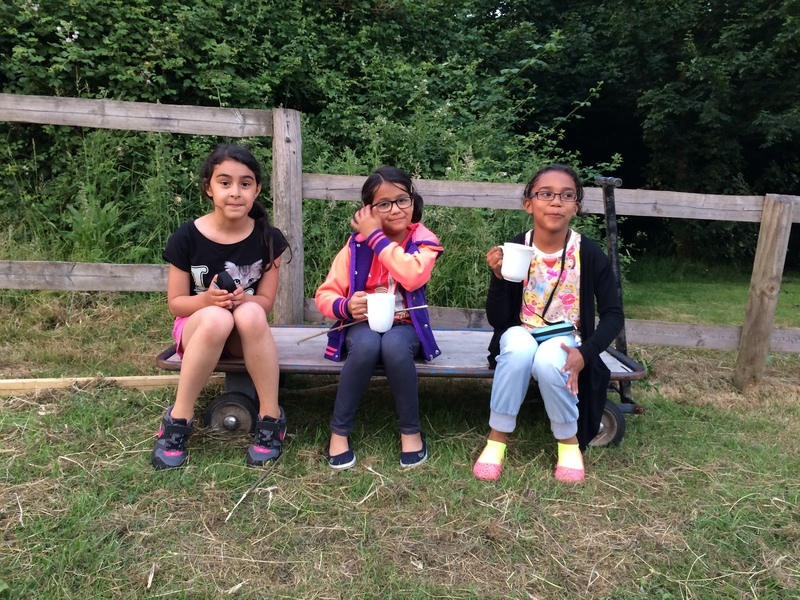 We enjoyed cereals, fruit and yogurt, followed by beans, eggs, and sausages with toast. 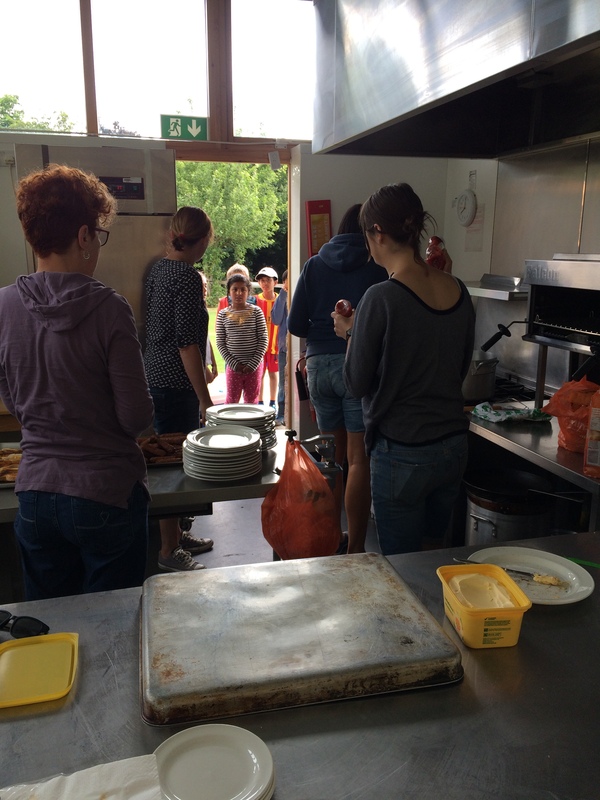 The queue for cooked breakfast. 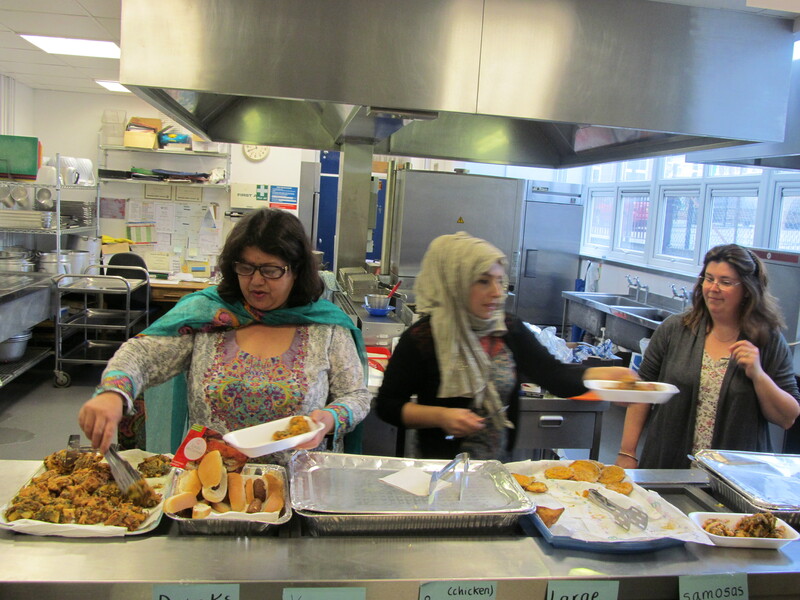 A professional team served a grand total of fifty-six breakfasts within minutes! 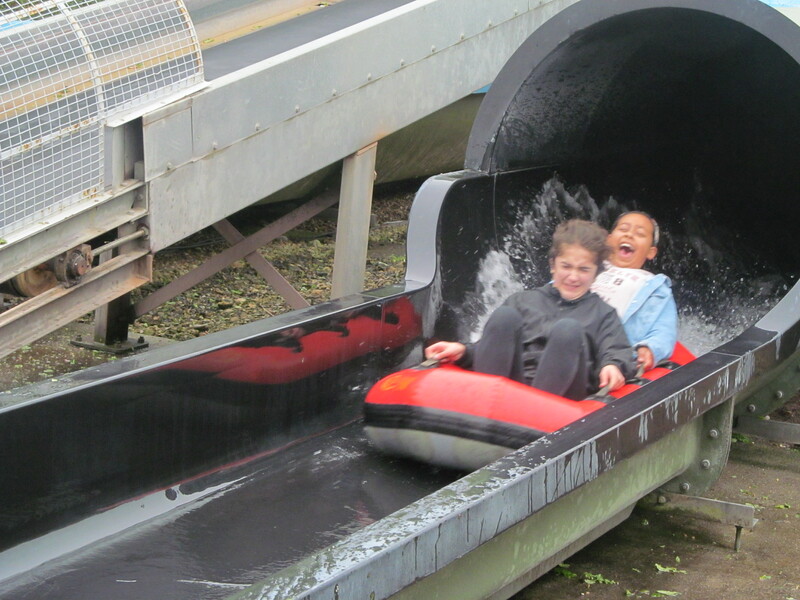 We definitely needed it. 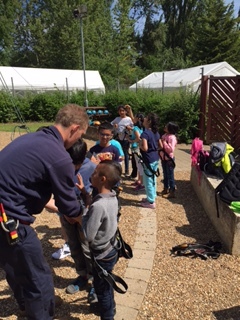 We had two more activities and plenty of play to pack into our day before lunch! 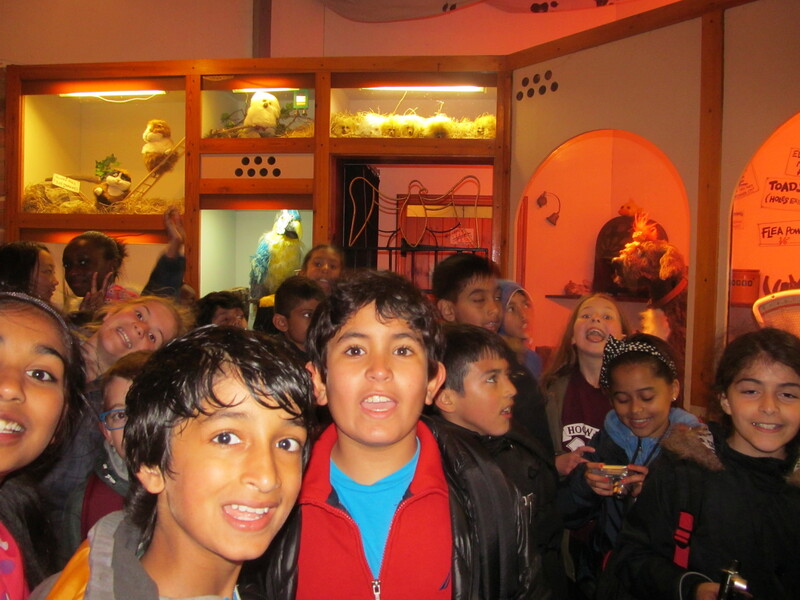 We did, but the energy was a necessity. 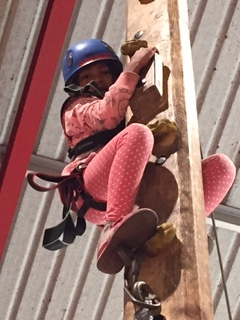 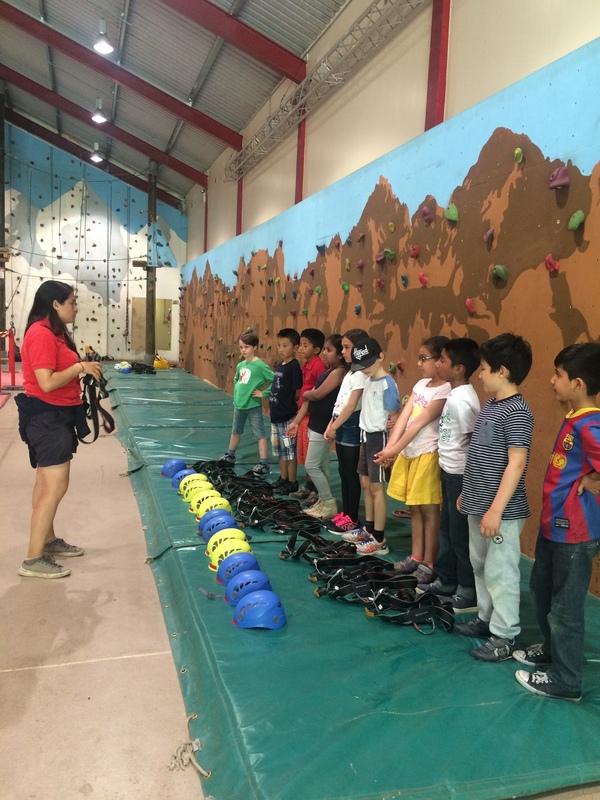 All the children really challenged themselves, embracing each activity with masses of enthusiasm. 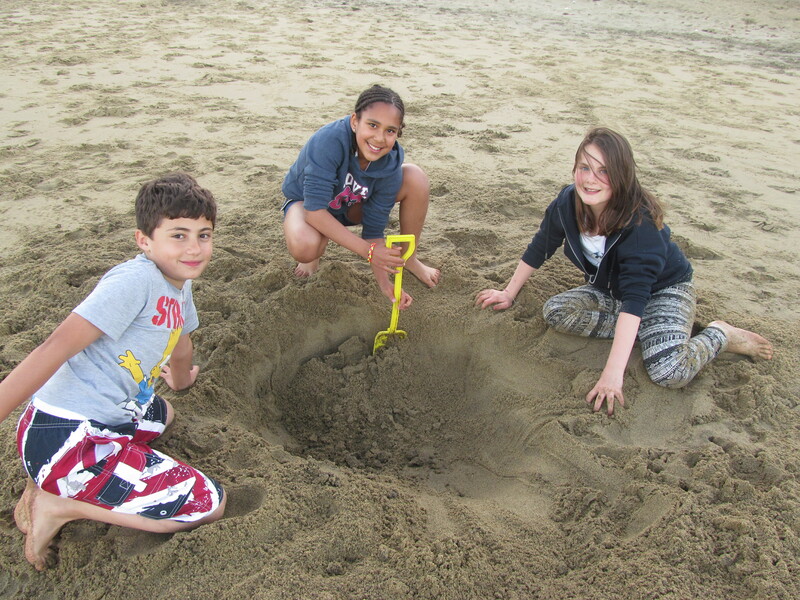 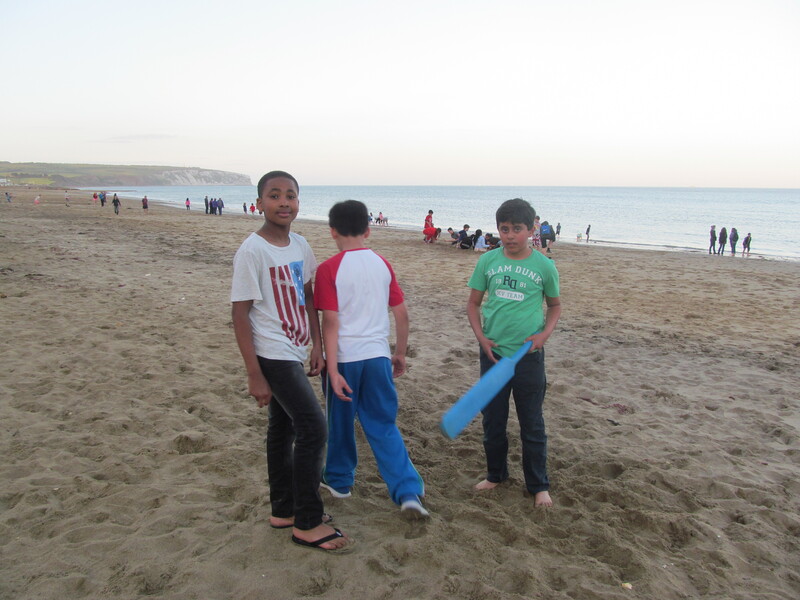 As you can see from our photos the children achieved huge amounts while having lots of fun!. 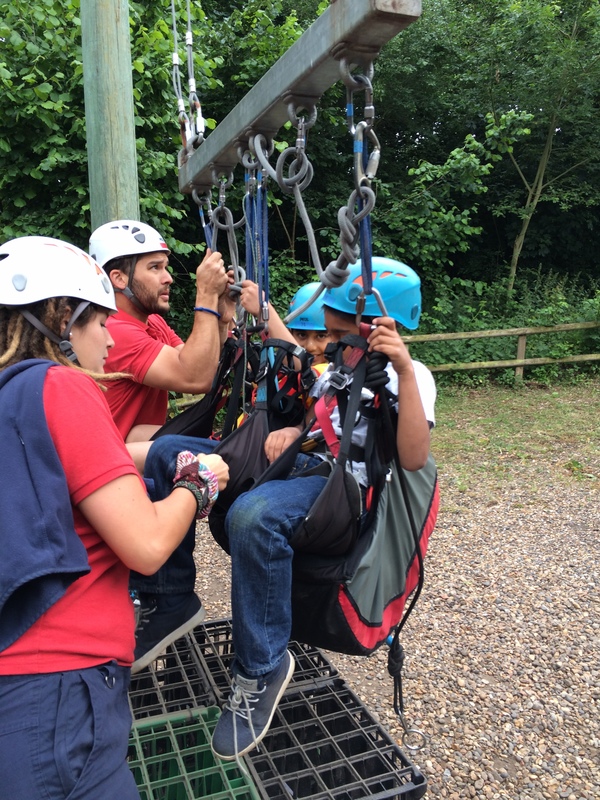 Thank you all for supporting our residential to Gilwell. 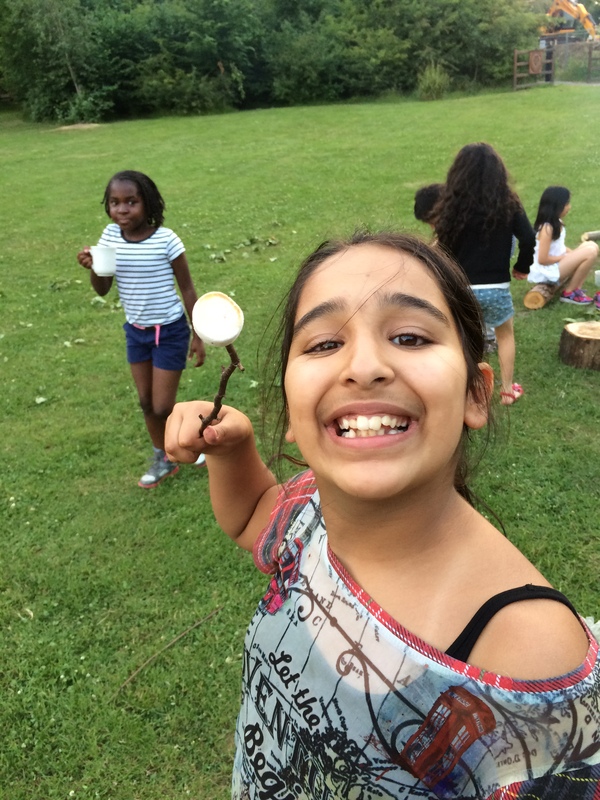 It is a life changing opportunity! 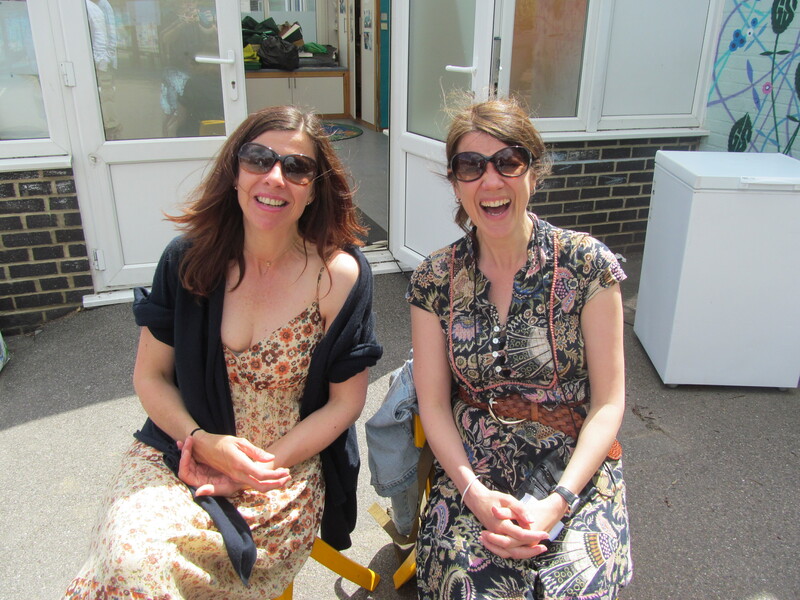 Summer Fete goes with a Swing! 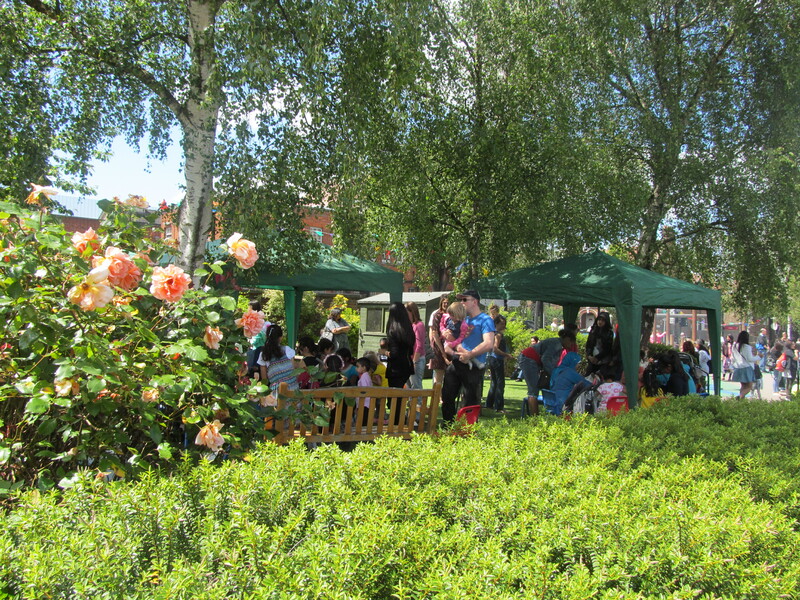 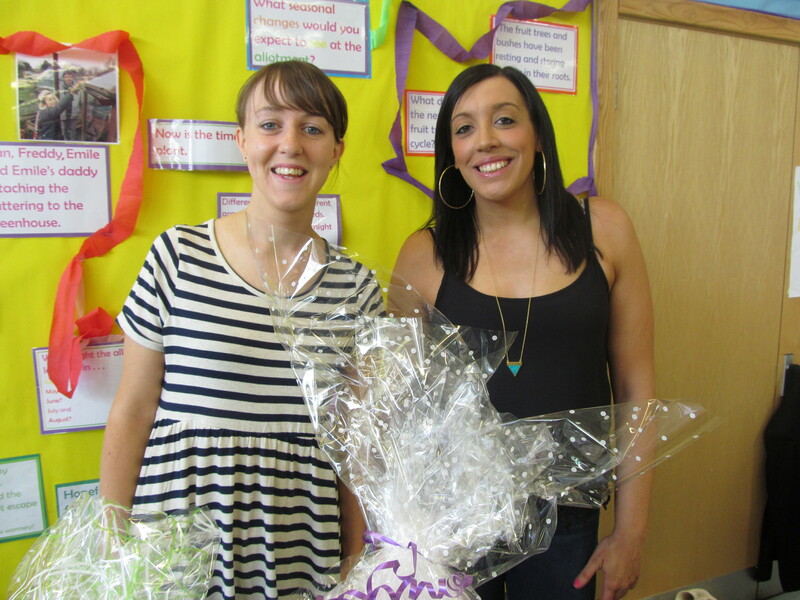 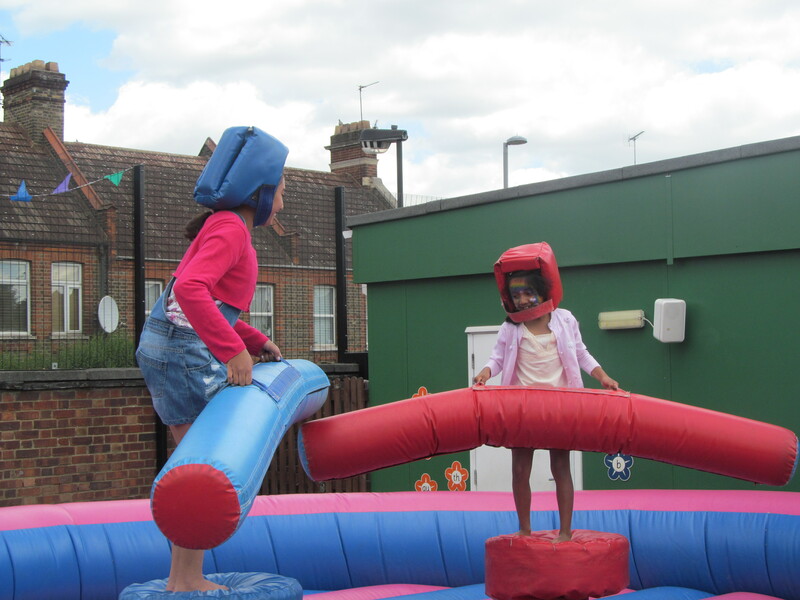 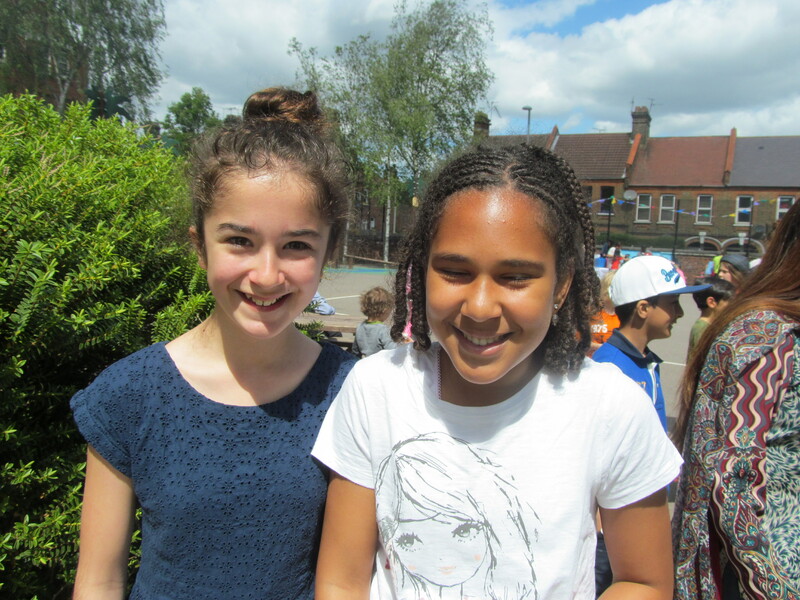 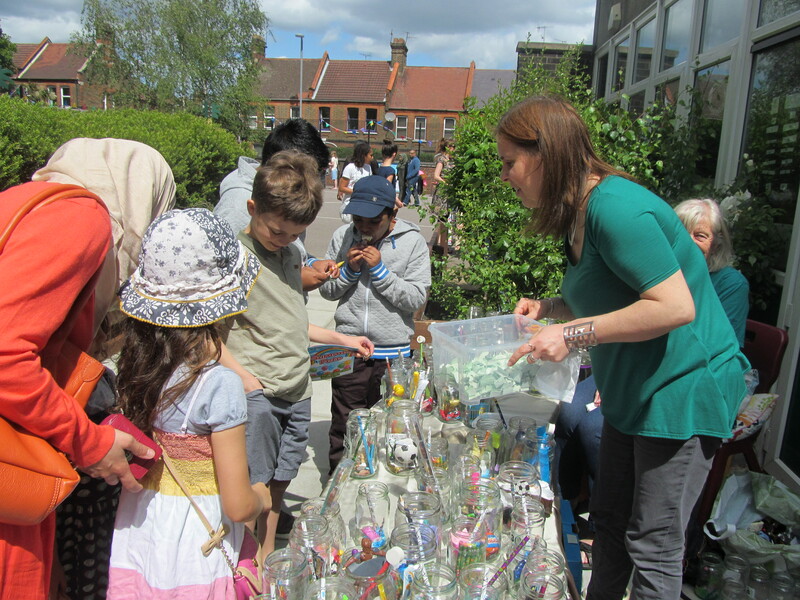 We were blessed with wonderful sunshine today at our annual summer fete. 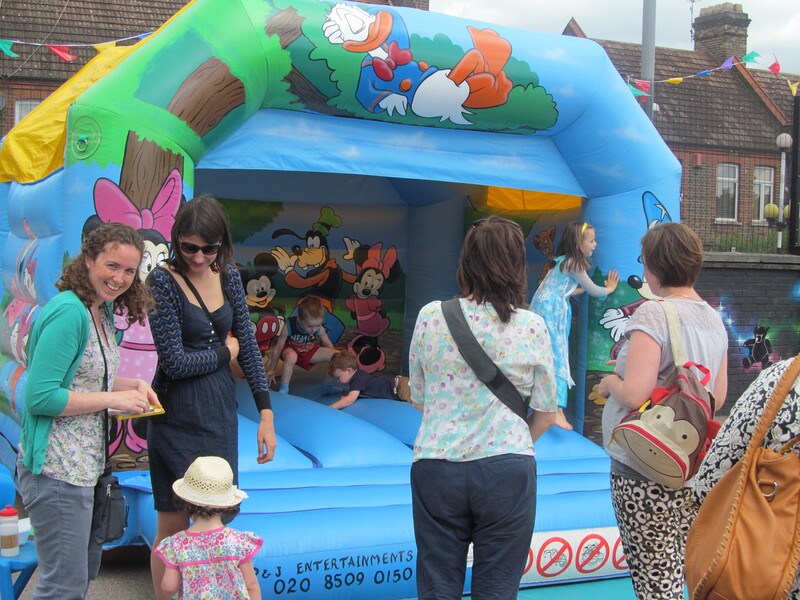 Smiles all around made this a very special community occasion; an opportunity to enjoy great food, bouncy castles, tombolas, beat the goalie and much, much more! 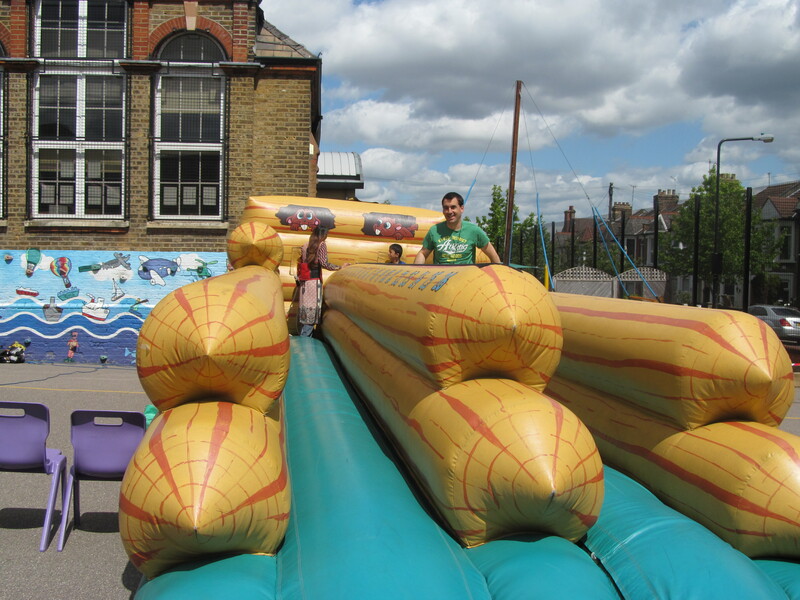 A big thank you to all those who came along to support fund-raising for the school and the PTA committee, including Ms Franklin, for their unstinting hard work, commitment and enthusiasm. 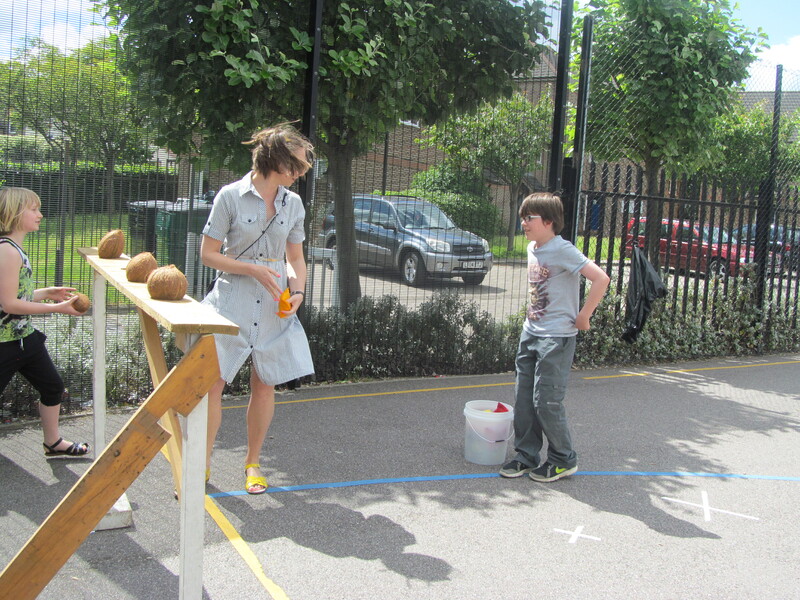 A very special thank you, to a very special lady – Nicky Gidigbi, who retires this year as Chair of the PTA. 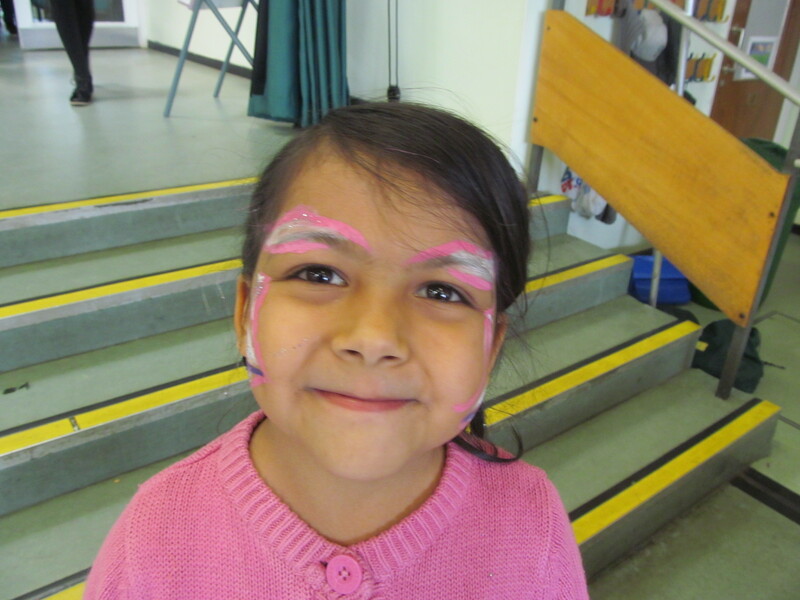 She has been a great supporter of Greenleaf over very many years and we are very sorry to see her move on, as her youngest child leaves Greenleaf for secondary school. 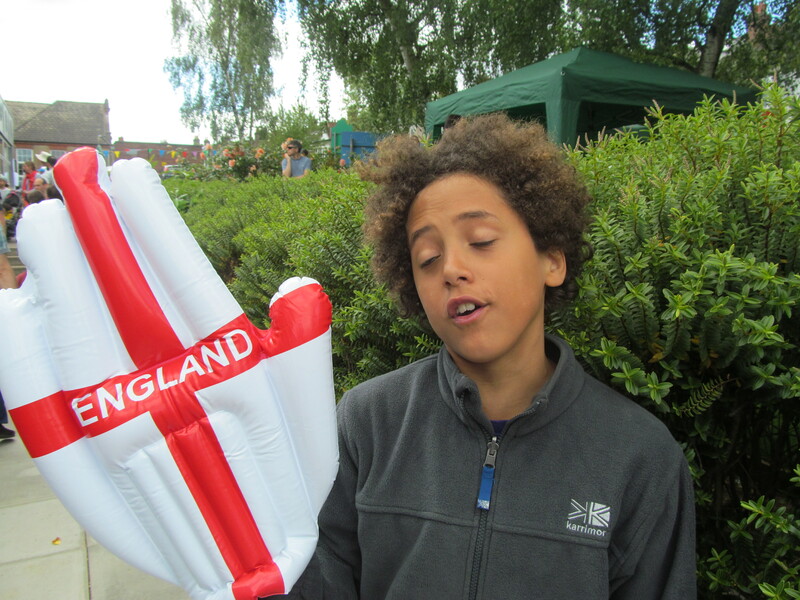 Thank you, Nicky. 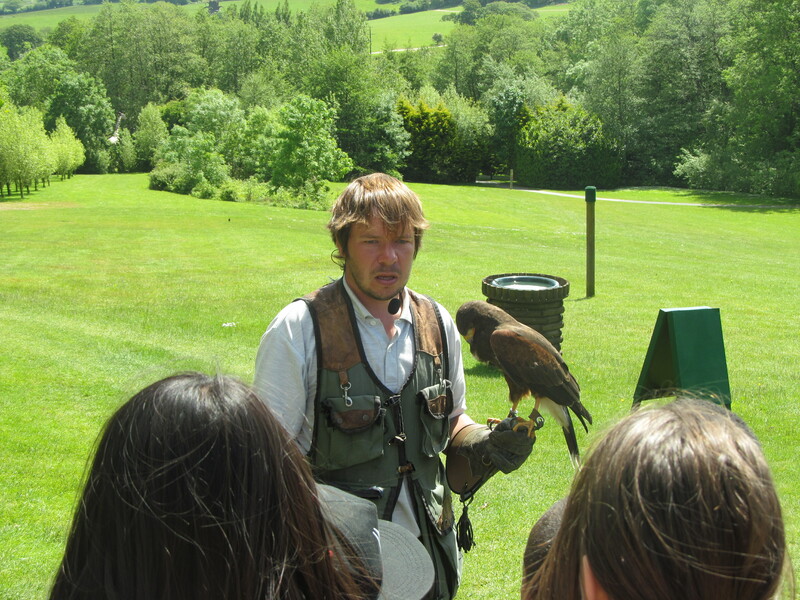 You will be very much missed! 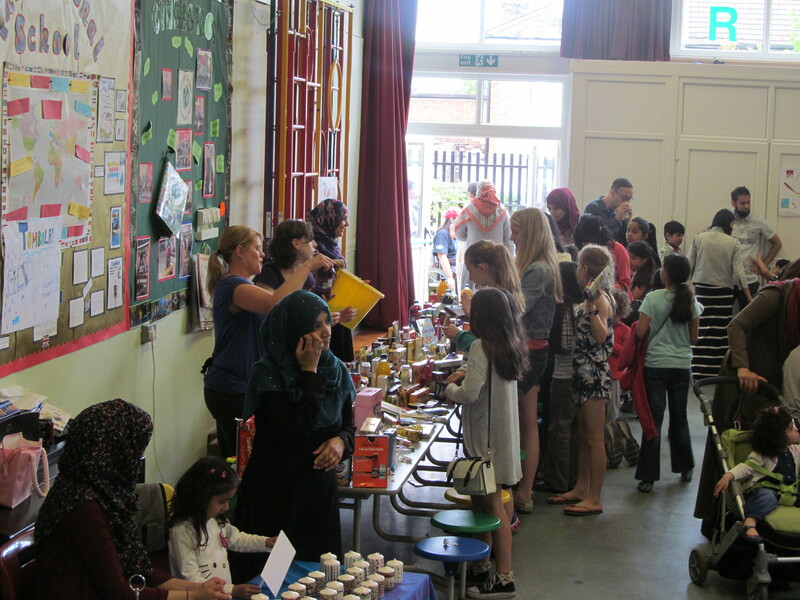 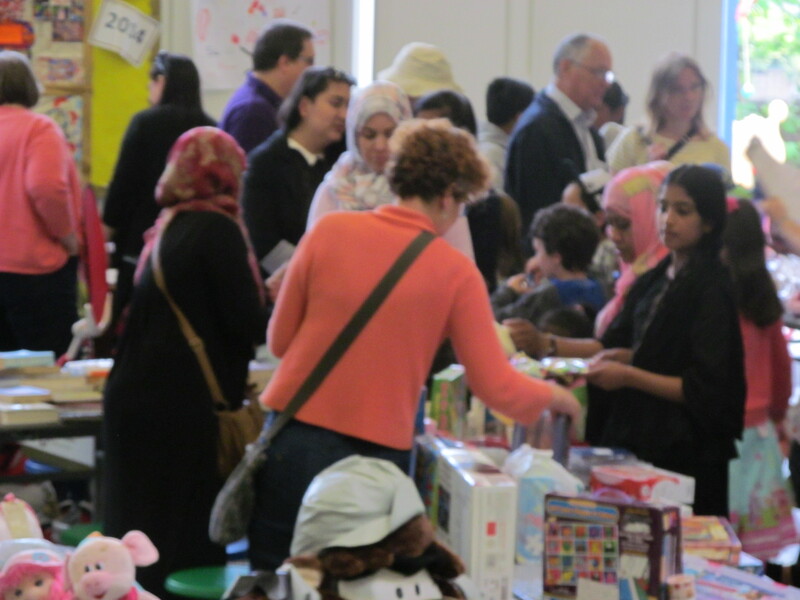 Not only a wonderful community event, but we also raised more than £3000 for school funds. 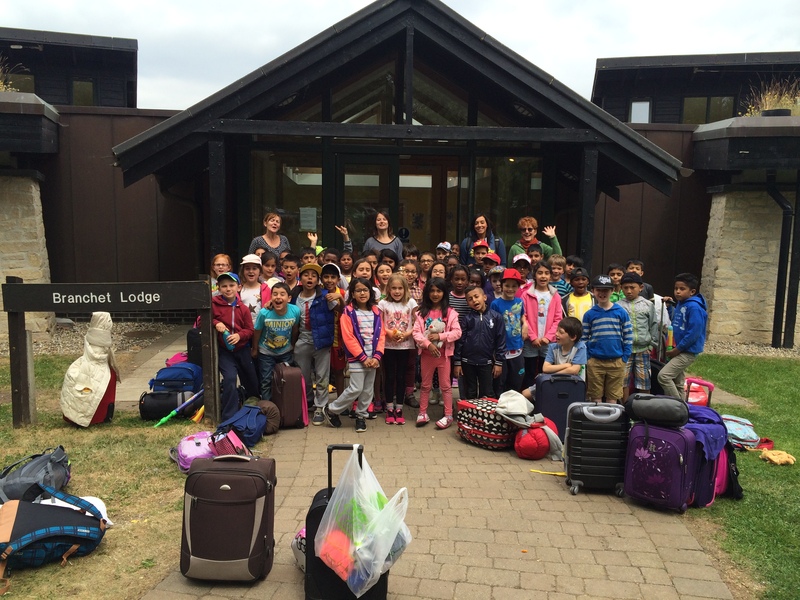 Well done to all! 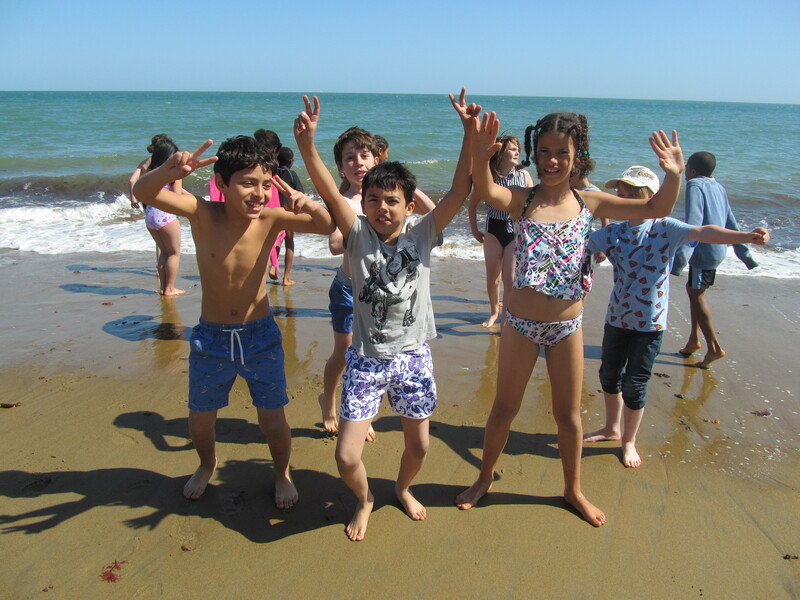 The Isle of Wight experience has been really transformed today by amazing weather. 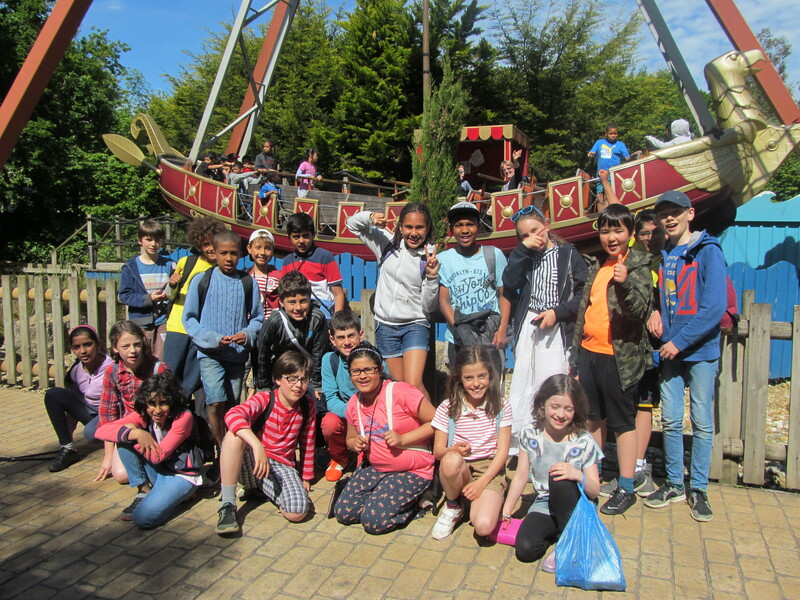 The sun has shone all day, making our visit to Robin Hill (4D cinema, pirate ship ride, falconry display, toboggan fun) truly spectacular. 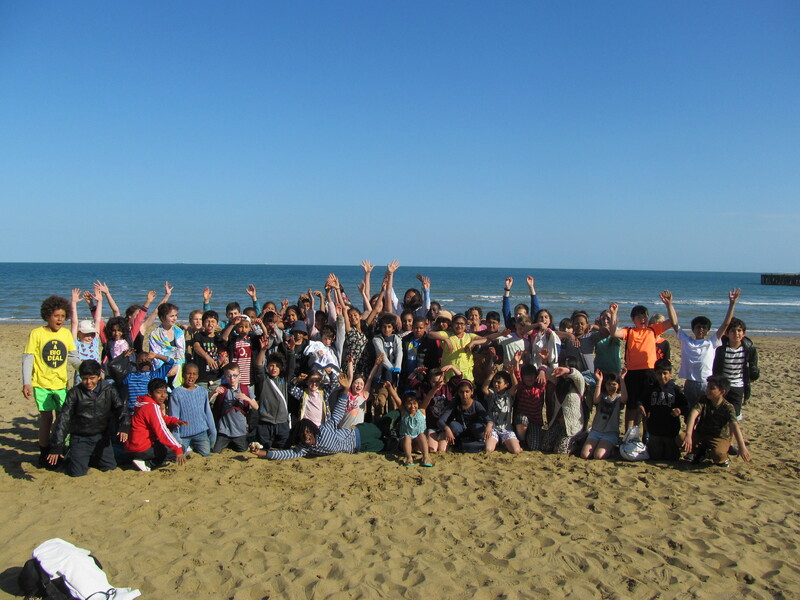 On top of that, we also spent a wonderful afternoon at the beach and finished off the day with disco party time and room jingle performances. 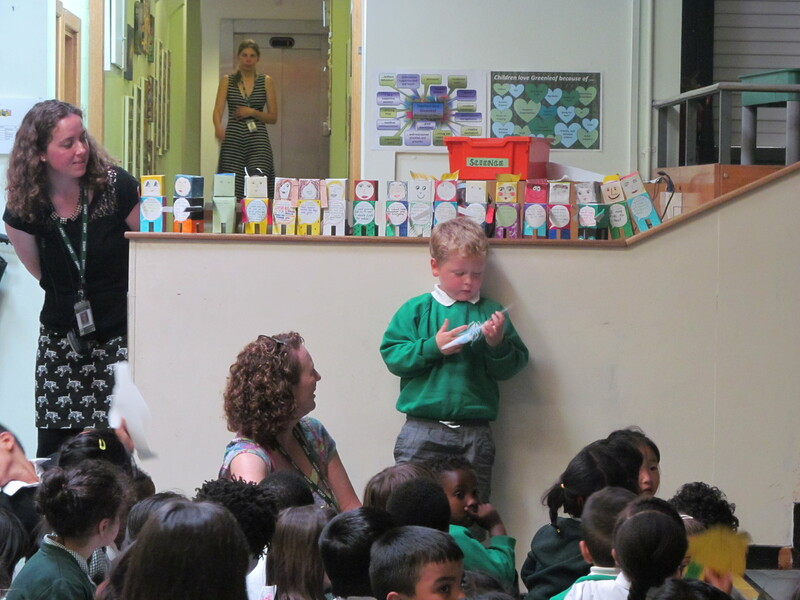 The teachers felt that this year’s room jingles were the best ever! 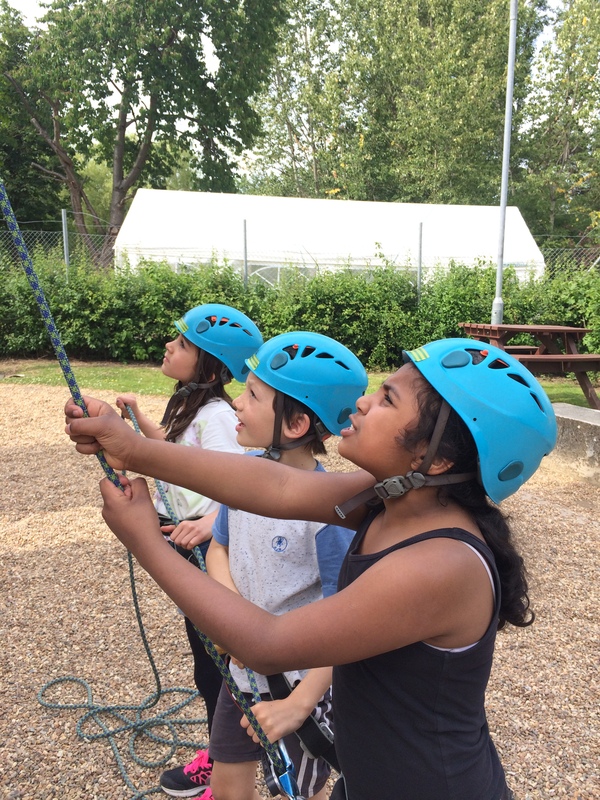 What a difference a day makes! 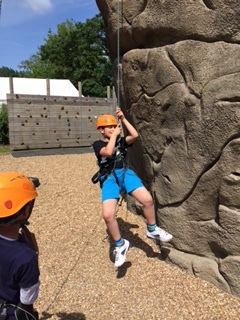 The sun has shone all day, making our visit to Osborne House and The Needles really spectacular. 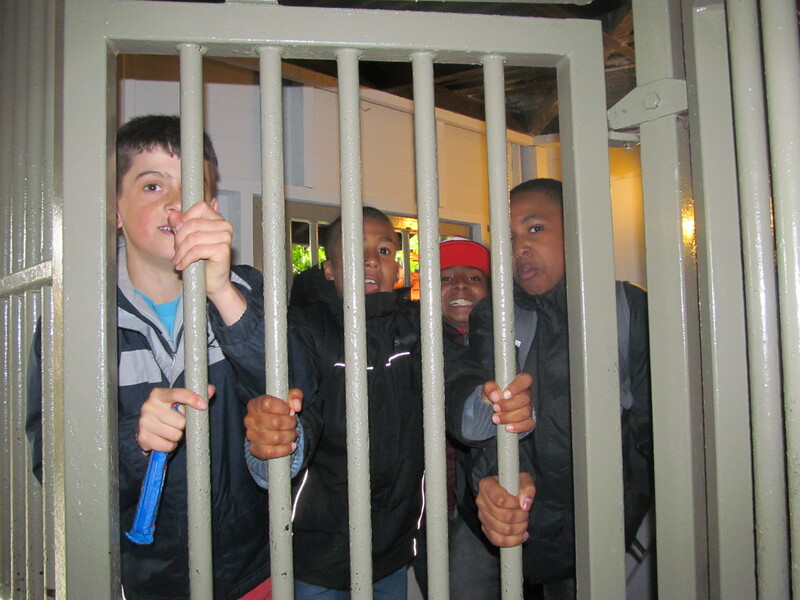 The children really enjoyed Osborne House, fascinated by the life of Queen Victoria and her family. 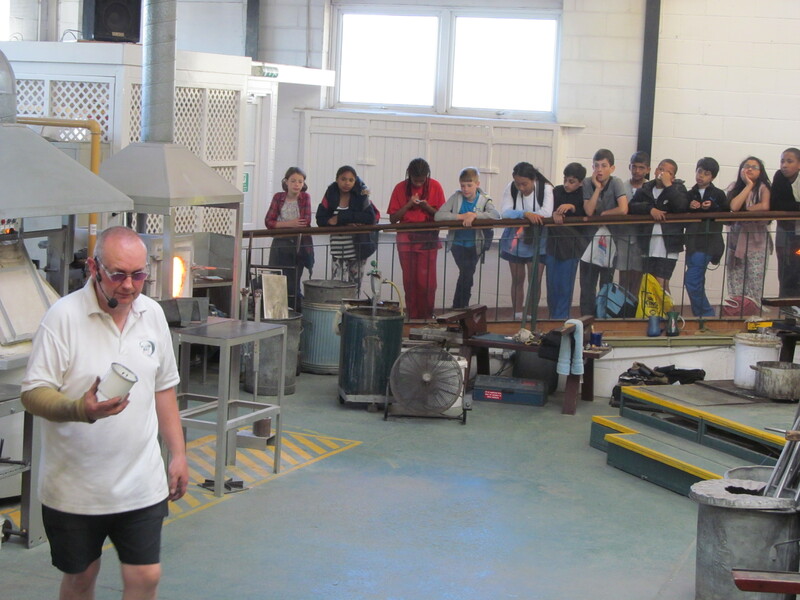 The glass factory was a highlight also, with the children learning about fibre optic cable amongst other glass making techniques! 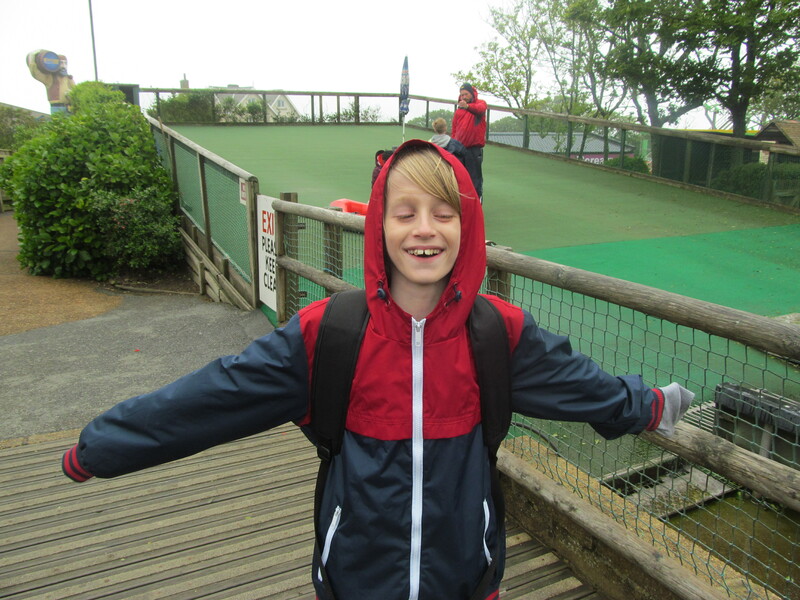 Isle of Wight Day Two – The Mist! 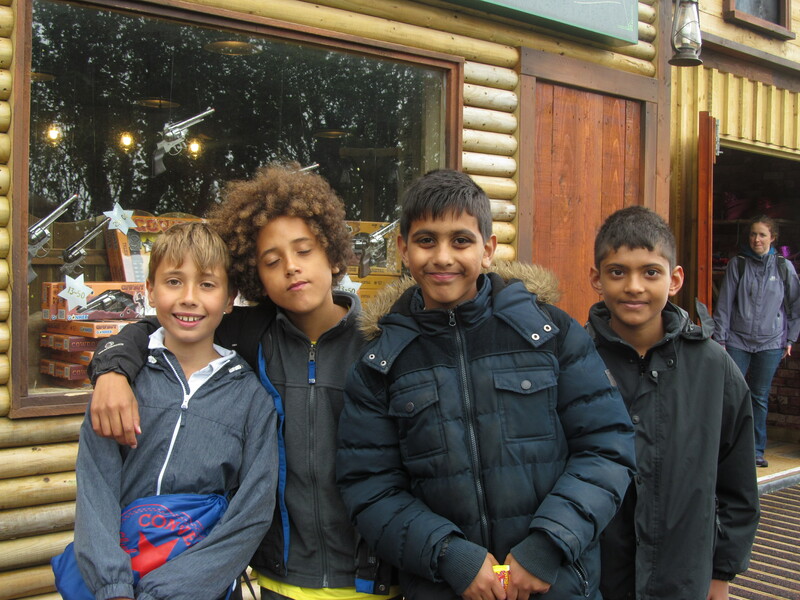 This morning, we were met with mist, gales and biting winds. 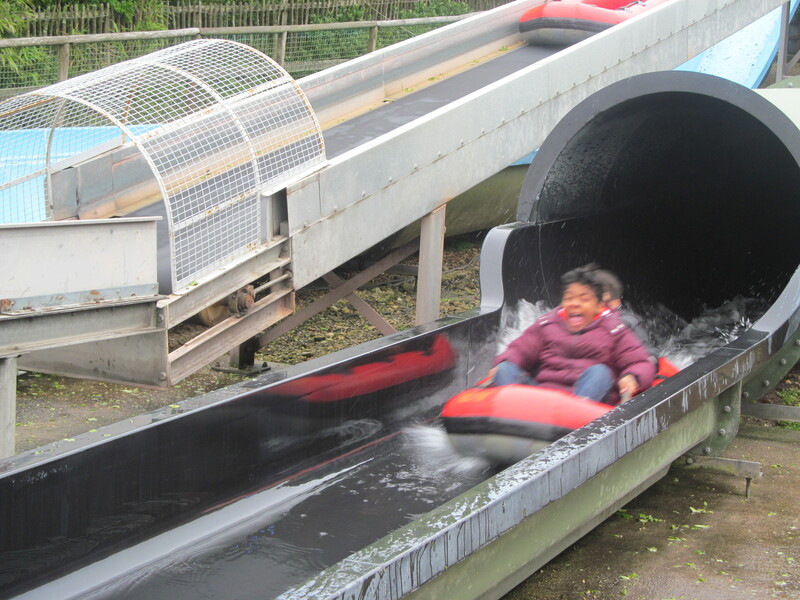 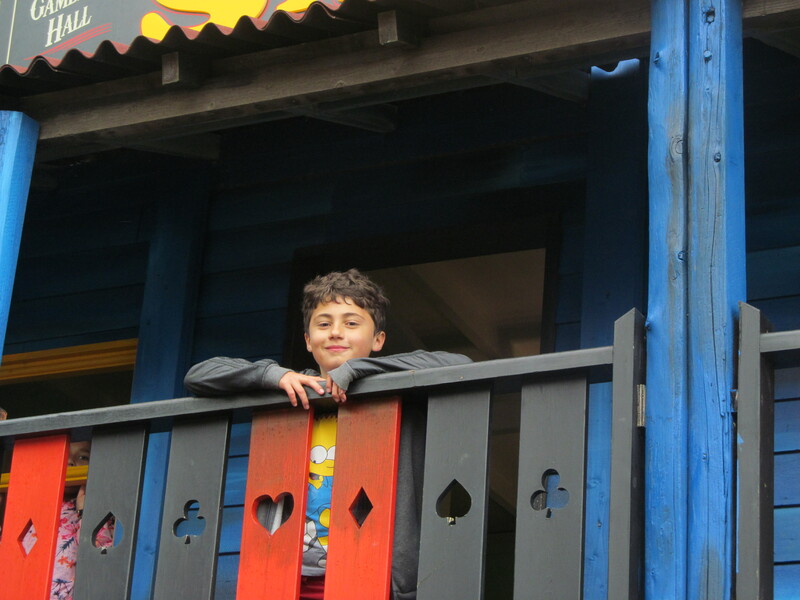 Not a pleasant prospect for a day at Blackgang Chine – but we all rose to the occasion! 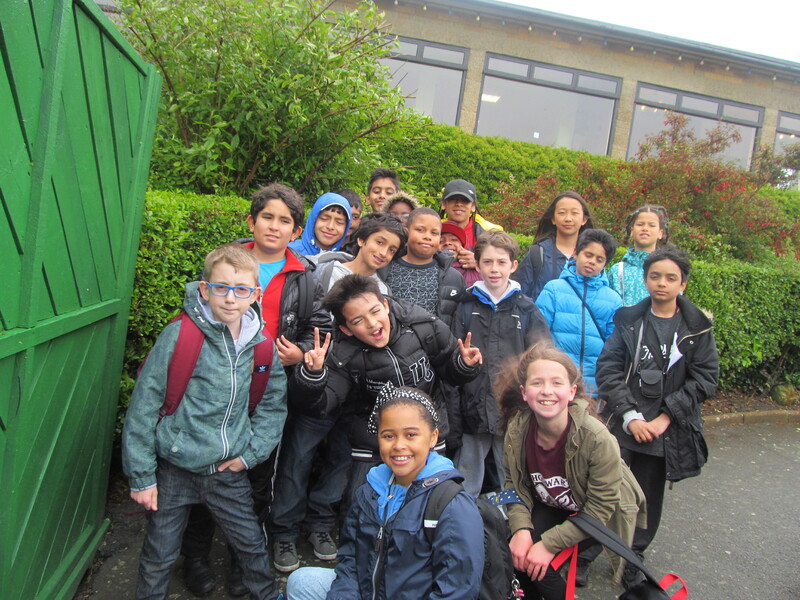 The children were undaunted by the bad weather (the teachers not quite so resilient!) 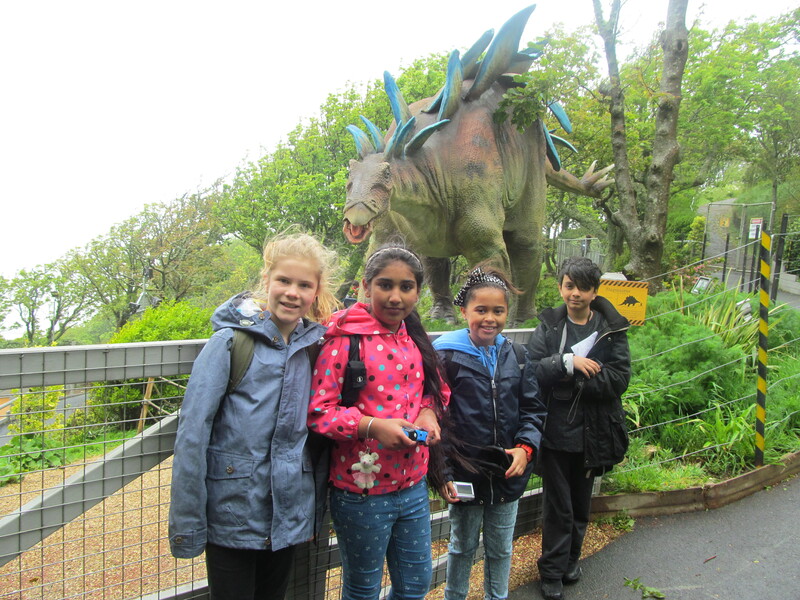 and had a fabulous day meeting the challenges of the rollercoaster, the water slide and the less demanding dinosaur and fairyland worlds.